As you guys know my family recently adapted a whole food plant based diet. I have had a bit of a struggle with finding recipes the kids want to devour, that is until I created this recipe. Now initially this recipe started as apple nachos, think sliced apples, popcorn, chocolate chips, dried fruit, and peanut butter drizzle…I’m drooling just thinking about it. I quickly found that this recipe was tasty, but messy given you eat it with your fingers like nachos. So in my head I thought maybe if I cubed the apples and mixed everything up. This attempt was ok but still needed modification. 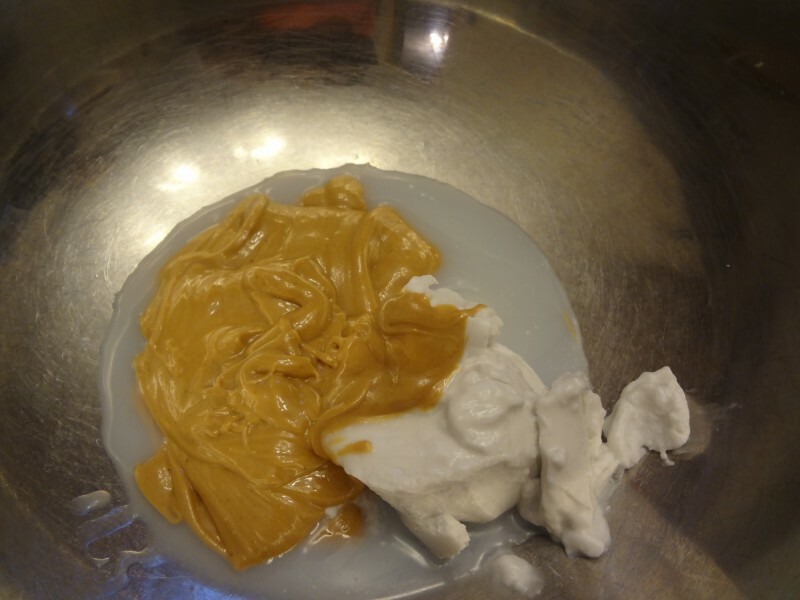 My husband coined the idea to add a little bit of coconut cream to the peanut butter to create a more creamy texture. After that Ive really just taken off with it and changed things completely. I hope you give this a try and let me know your thoughts! Also let me know how you change it up to fit your families tastes! This recipe is perfect for a side at a tailgating party, or as a easy fast lunch for about 4 people. The days I decide to make this recipe for lunch my kids are ecstatic. The first step is to gather 3-4 of your favorite type of apple. We’ve tried fuji, gala, granny smith and have liked everyone so far. 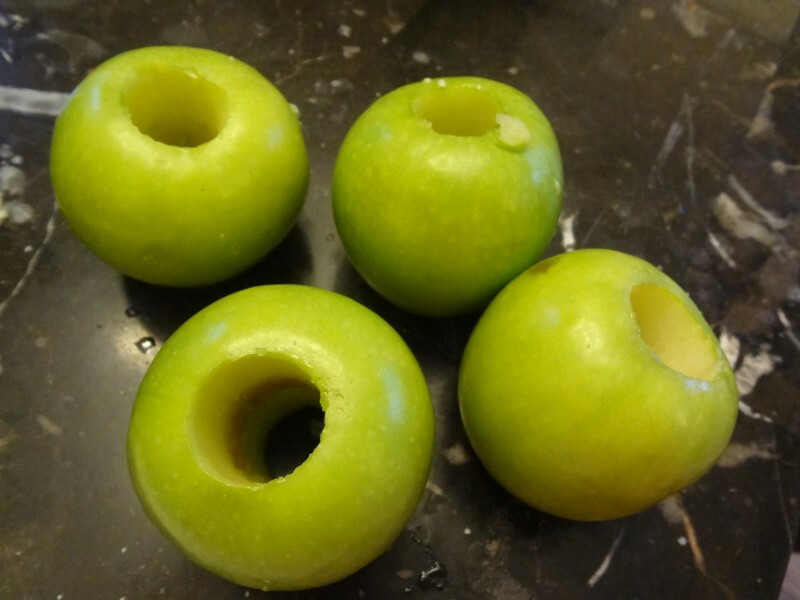 Core each apple, and then slice and cut into smaller pieces. 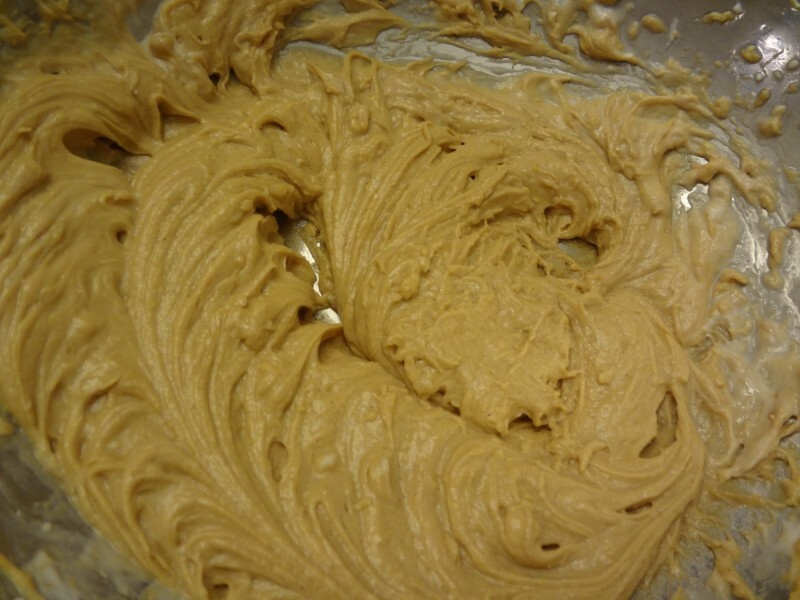 Next get a large mixing bowl and combine a heaping 1/2 cup of peanut butter and just the cream from one can of coconut milk. I typically buy a can and keep it in my fridge until needed so I always have separated coconut cream on the ready. This time I bought a can of coconut cream by itself. Mix with your beater on high speed until just combined. Note: over mixing will cause the two to separate and things get weird, so only mix until the two come together. 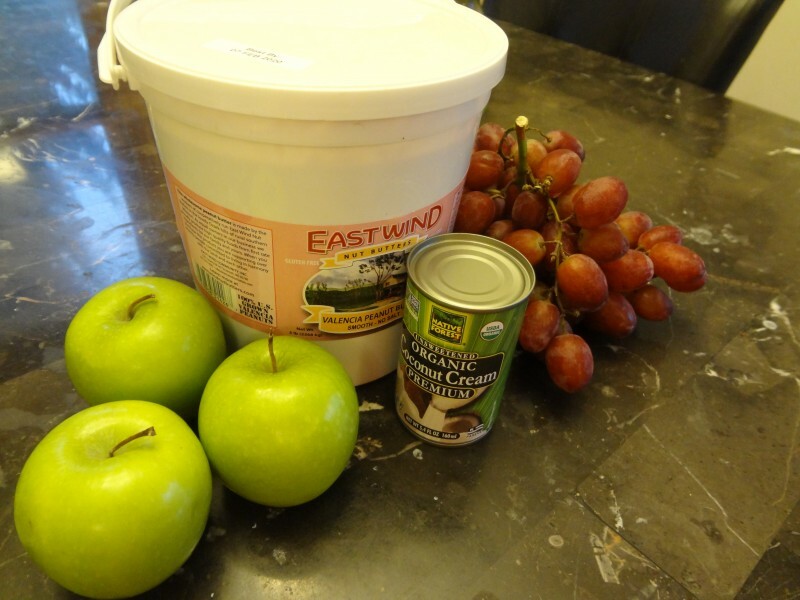 Next add in your cubed apples to the large mixing bowl that has your peanut butter cream in it. 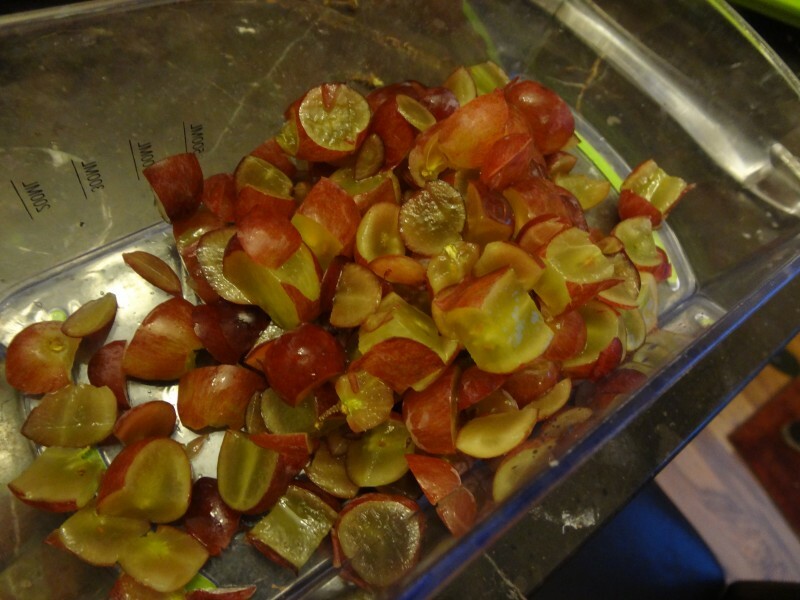 Cut a handful or two of grapes in half and add to the bowl as well. I use a slap and slice type kitchen tool as it makes things a little quicker. Now here is where you can get creative, I always add in some chopped cashews as I love the extra protein, calories and crunch. You could add any nut you liked or none at all. I also add in chocolate chips when I’m feeling froggy because seriously, why not? Adding chocolate chips creates a more candy bar type feeling. Things like chia seeds, sunflower seeds, raisins, and granola would only add even more texture and tastiness. My husband and I also talked about topping the salad off with crushed pretzels to add a little salty to the sweet, I cant wait to try this version myself! So there it is, a simple, easy but utterly amazing little apple salad perfect for a side dish as parties, or as a snack watching some movies at night! The part I love the most is its whole food plant based, vegan, and healthy. Let me know if you try it and what you think! This post currently has 45 responses. I’ve never heard of apple salad. It looks delish. I’d like to try it. Thanks for posting! I love apple salad. I have not thought of putting coconut cream in it. I will have to try it. Thank you for the idea. I can maybe picture this more with a sweet, sugary dessert dip of some sort, but it’s got to be really delicious this way! This is new for me. It looks tasty so I might make it for Thanksgiving this year. I love a good apple salad. I actually have never had it with chocolate chips, and usually the nuts have been walnuts. I think your husband’s idea of he pretzels sound great. I would enjoy trying this apple salad. It would be nice to take to my sisters house for after dinner. Apple Salad is a new one for me. I like apples so many ways but this salad really sounds interesting. Great ingredients. I like all the variations that you can do to this salad. This looks like a very healthy and creative recipe. My dream is to eat a total plant based diet ar some point. This apple salad looks really good. I really like the ingredients. Yum! Love how this dish came together. Great snack for my daughter’s dance class afterwards if course. This recipe does look good and appetizing! My mother-in-law just gave us a box of apples from her tree and I’ve been making apple cobbler with. I’ll have to try this recipe for sure. Pinning! This sounds like a really good fall recipe! I would be nice & healthy too, thanks for sharing! This looks so delicious. I like the addition of coconut cream. I love this recipe and plan to make it for thanksgiving. I know the grandchildren will love it. This apple salad does sound good, and I have extra apples, amazingly, I have all these ingredients, even the coconut cream. I’d love to try it! 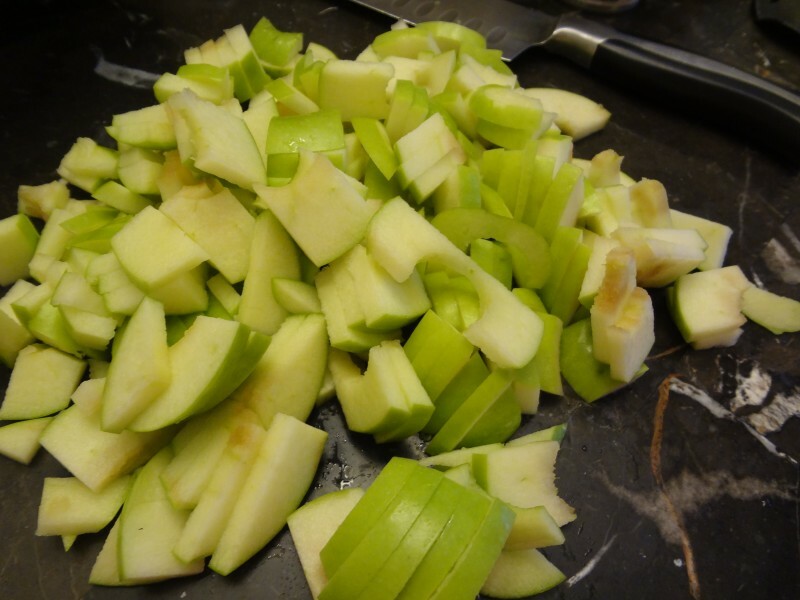 Apple salad is my favorite, just haven’t tried making it myself. I definitely have to try the recipe! This sound amazing and I too am trying to eat healthier. I be my grandchildren would love this recipe. 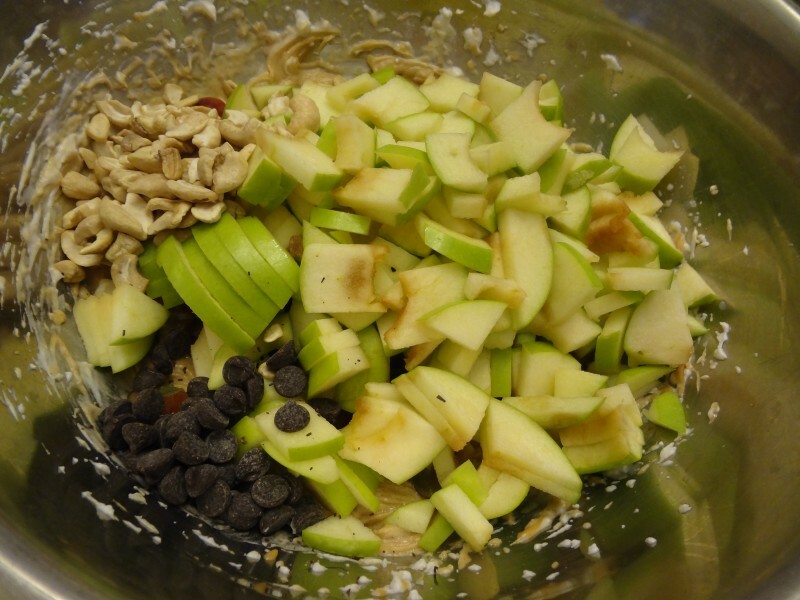 This apple salad recipe looks delicious. I want to try it. 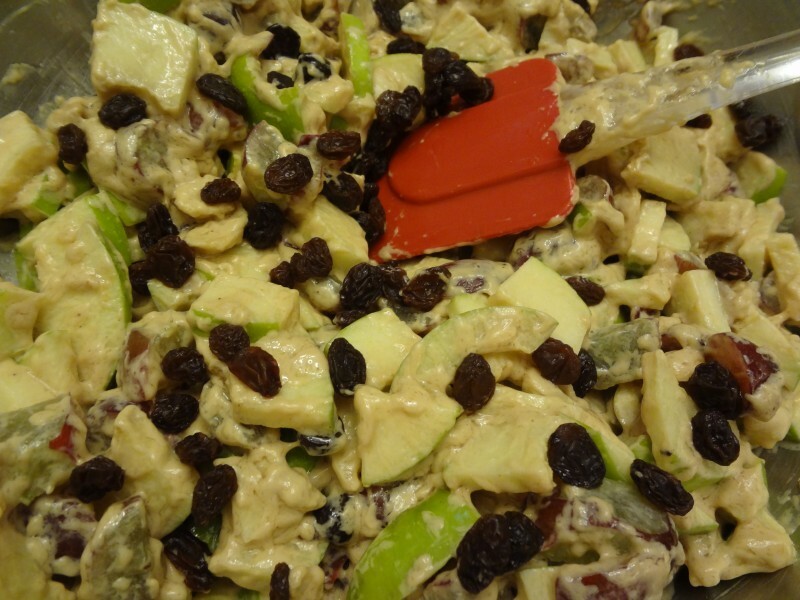 Wow, this apple salad recipe sounds delicious! Thank you so much for sharing your recipe , I can’t wait to try it! I just recently found out that I am allergic to gluten so I am always looking healthy alternatives. This looks so good and I love that it’s quick and easy to make! Wow, this looks so good. I’ll have to try this out for my family. I think they would love it. All I can say is you! I like how easy it is to change this up and add so many things kids would not really eat! The ingredients in this sound fab to be mixed together. I’d love to try this apple salad. This sounds really good, especially with added cashews and chocolate chips. Coconut flakes would be good too I think. My grandson is so fussy with what he will eat. He does like apples, peanut butter an chocolate chips so I think its a hit! Thanks for the tip. This looks absolutely delicious. Thanks for the recipe! I pinned it! This looks super yummy! I really love the peanut butter and coconut cream “dressing” for the salad. We eat mostly a plant based diet too. I would really like to try this. This is a new recipe for me. My grandchildren love all the ingredients so I will definitely give this a try. I love this little recipe here you have, my grandchildren would enjoy this as a snack watching a movie, and I probably would sneak in some chia seeds, grapes and clementines. This looks like something my family would really enjoy and I like that it is easy to put together as well. This sounds delicious!! I was just thinking of making some but have no more coconut in a can, i’ll have to wait, But definitely loving your recipe here, I know the grandchildren will enjoy this dish. I slice apples and dip them in peanut butter. I like that however I think I just might love your recipe. You can also add celery, jicama, or waterchestnuts. Love the crunchies! !